This organza bag is specially designed for Christmas Day. 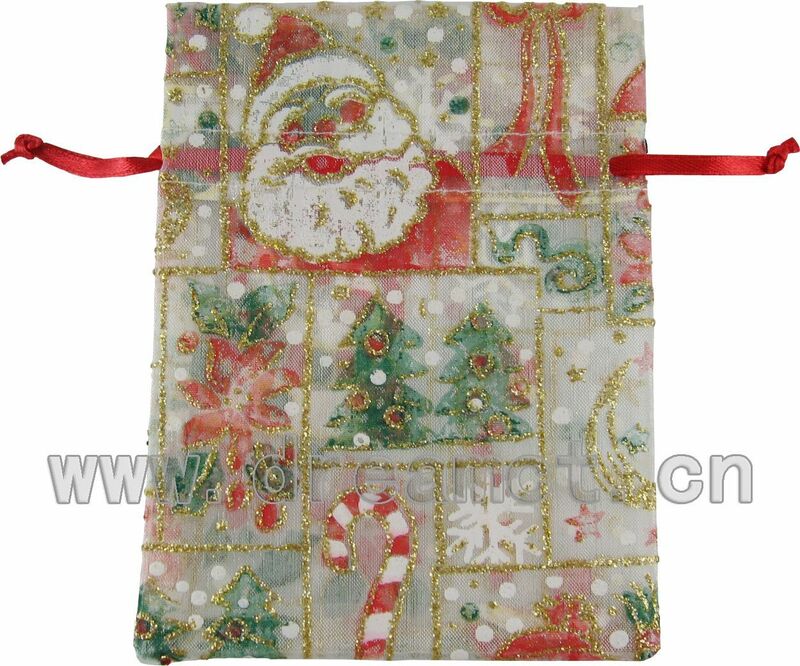 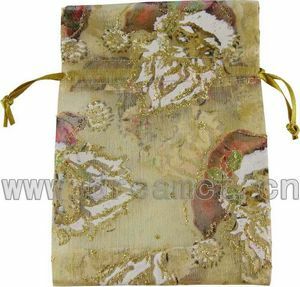 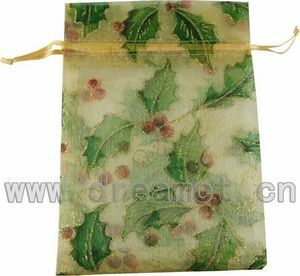 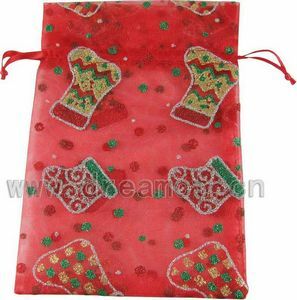 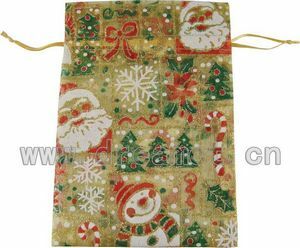 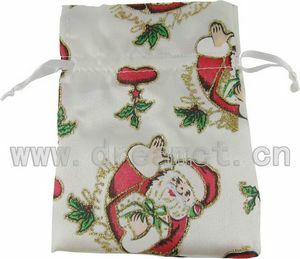 It's made from sheer organza fabric with hot-stamping in Christmas tone and ribbon drawstring. 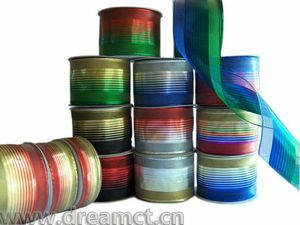 We can offer various designs and colors and can produce any sizes. 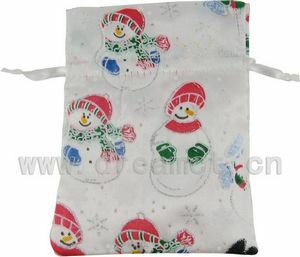 It's really great for wine bottles, makeups, favors, gifts, jewelry, and may be used for other purposes. 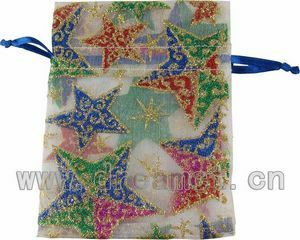 It will definitely light up your Christmas Day.